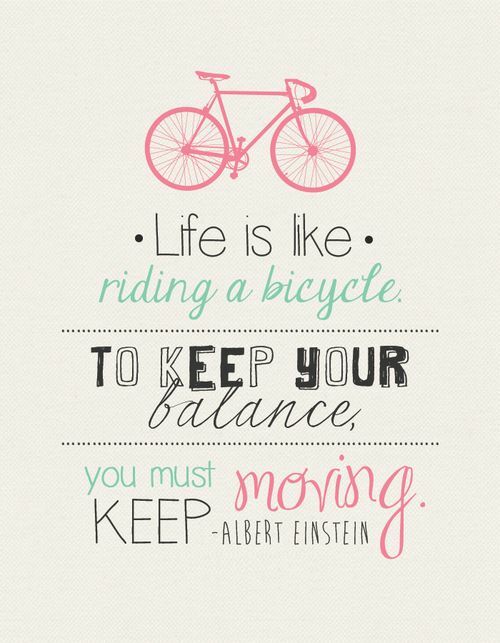 … to keep your balance, you must keep moving. Einstein was wise in his admonition to keep moving in an effort to avoid complete disaster. This is great advice, even if you are a klutz like me. Seriously, I don’t know another woman who is as prone to fall over, trip or run into something while simply walking; add in speed and upgrade me to running or put me on a bike and disaster is imminent. Nonetheless, Einstein’s advice remains solid, even for a woman with my bubble wrap requirements. Sometimes balance can be difficult to find even when you’re doing all the right things, even when you keep pedalling. Try tenacity on for size. Riding, hiking, running and even the random canoe adventure have reminded me of the fundamental and important skill that is required to be successful at life – tenacity. Sport isn’t just for your body, it shapes your mind and builds amazing skills which show up in your relationships and work and also changes how you approach the crazy adventure I like to call life. This summer and last, I found myself all over the place enjoying the great outdoors and the mountains in my backyard. Instead of packing myself up in a tin can with wings to spend a week in a far away place (although there was some of that too), I have embraced the place I live; a place where people from all over the world come to visit. Banff, Jasper, Canmore, Waterton, Whistler and Glacier Park all witnessed me slathering on 60 block and liberally applying bug spray on a regular basis. Mountains + Donloree + a bike or hike = happiness. 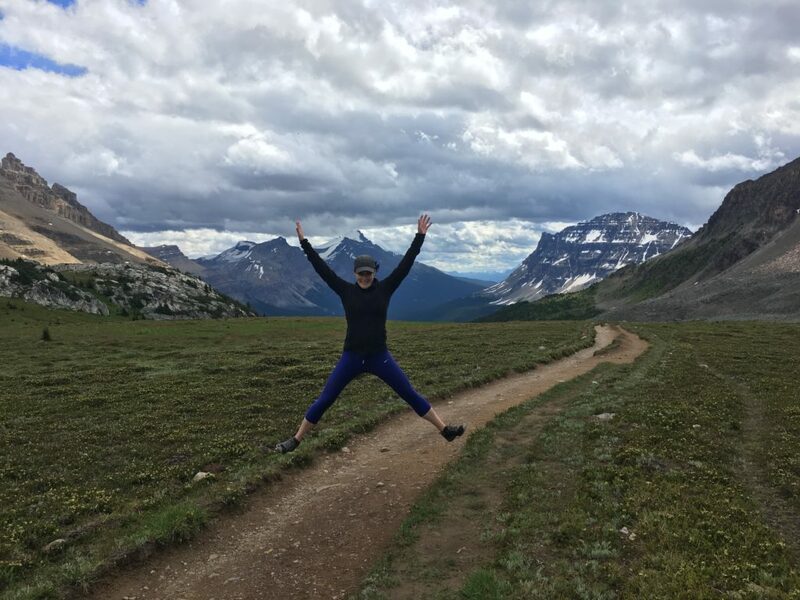 The thing about hiking is that it looks deceivingly easy; after all, don’t you just walk up the side of the mountain in your cute, stretchy clothes and smile at the top? The answer is no. No you don’t. Getting up to the ridge and then not falling off is harder than one would think – both actually and metaphorically. Besides the gorgeous views, mountain hiking and scrambling has a hidden gift – it makes you strong and teaches you how to go keep going when the climbing gets tough. Never stop climbing, even if you have to take breaks to catch your breath and reorient, keep going until you reach the summit. One day you are going to need to do something really hard. If you haven’t been doing hard things just for the heck of it, well, you may not be able to do what is required of you when your time comes. And the downhill … enjoy it, sure, but don’t just let it happen. Make it your own, embrace it. Run it. I will never forget the first time I decided to run down the mountain after hours of climbing. The looming thunderstorm and noises coming from the bush next to the trail helped me find the courage to navigate the technical terrain and keep running. Flying down the path with the mountain ranges and glaciers cheering me on was incredible. Tenacity keeps you going, keeps you pedalling, so you don’t fall over. I know, when you’re in the midst of a hard climb every single step forward seems impossible, but eventually you find your way to the top and everything changes. When happiness finds you as you pedal, feel free to be ridiculous. I usually am … why not? It takes a long time and a lot of hard work to have everything change in an instant. What do you in the dark and the hard times when no one else is watching matters. And when you decide its time to descend and you find yourself at the parking lot, get back in the car and go find a new mountain the climb because life is best lived in the up and downs and not on top of the mountain. Choose to do hard things and you will surprise yourself with what you can accomplish if you just keep going. What has tenacity taught you? How do you keep pedalling when all you want to do is stop? Random side note: My newest hobby project is a hiking blog, because, why not? 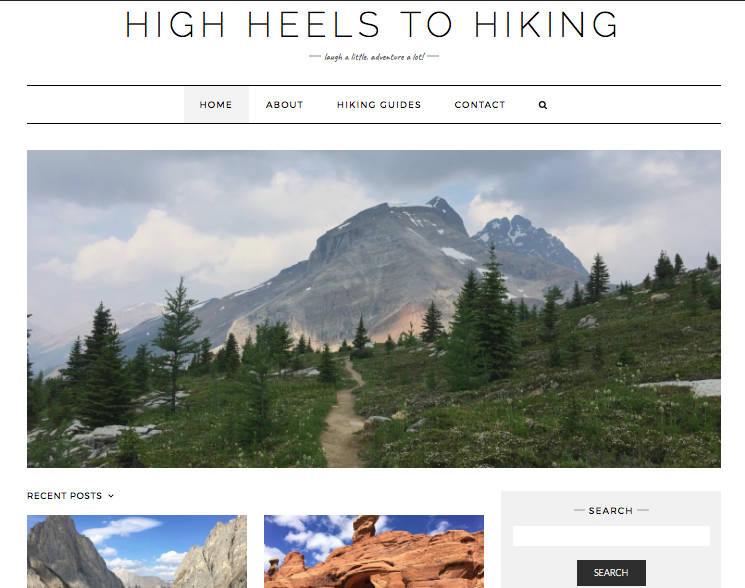 It is very much in baby blog form, but feel free to visit me at High Heels To Hiking and say, ‘Hi!’ if you want to. Because every woman needs a hobby blog or two, right? So excited about your new blog! How do I sign up for email notifications so that I don’t miss your posts?